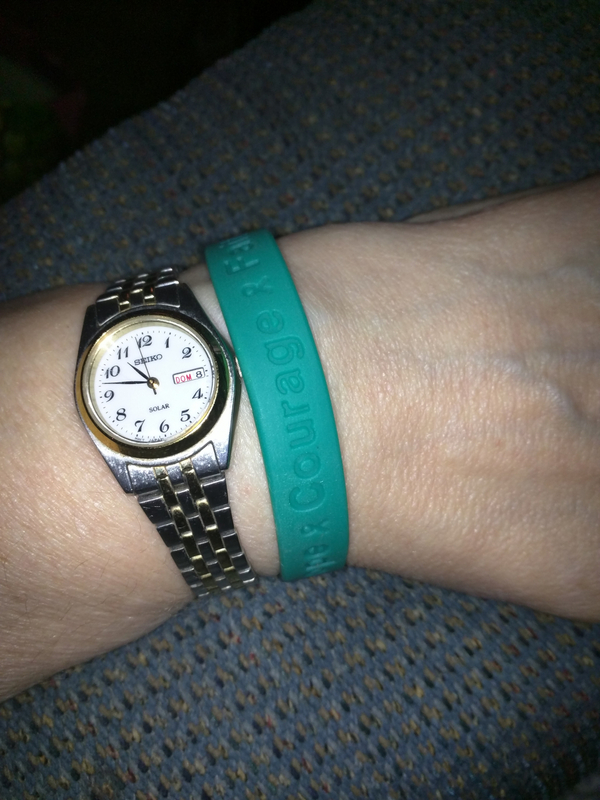 HomeShop by CalendarScleroderma Awareness MonthScleroderma Awareness"Hope Courage Faith" Teal Rubber Bracelet Wristband - Youth 7"
A classy way to express your awareness and support of the causes represented by the color teal. Wear this "Hope Courage Faith" Teal Rubber Bracelet Wristband 24 hours a day, whether at home, work, the health club or in the shower. Our Hope, Courage, Faith, Wristband is made from seamless 100% silicone rubber and packaged in an individual poly bag. We also carry "Teal Ribbon Magnets." Allow us to create custom "Hope Courage Faith " Rubber Bracelets and Ribbon Magnets for your organization or next event. I wanted a youth size wristband to fit my women's size wrist. It fits perfectly! Best OCD awareness color (teal) wristband I have found.